It’s really challenging to find a single person in this region who doesn’t know what it is! 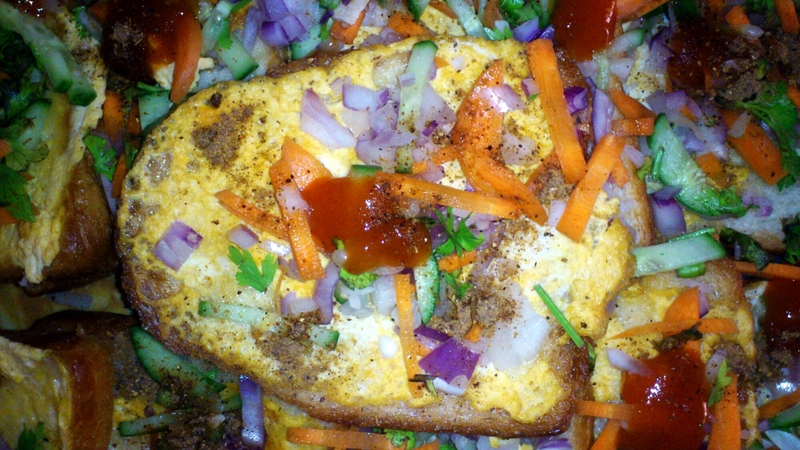 Egg Toast or locally known as “Dim Pauruti” is something that you will definitely find in every single Tea Stall in this region. It is one of the most favorite breakfast in Kolkata. Such a simple recipe can make a wonderful morning! 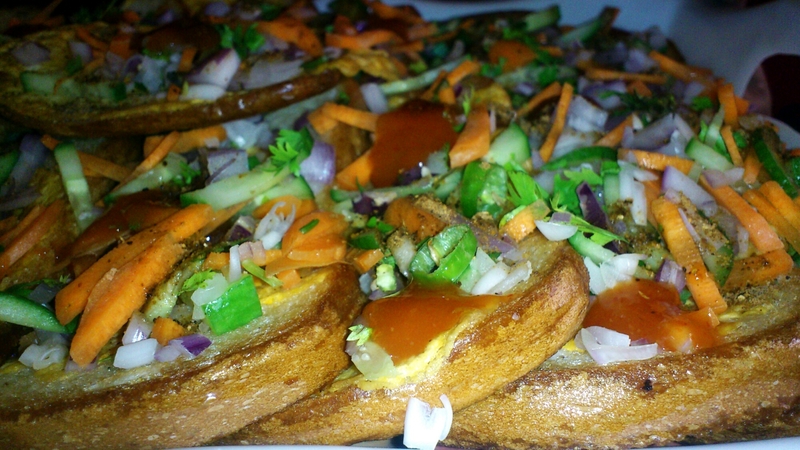 It is only some Breads toasted with Eggs which then garnished with Chilly garlic sauce, Cucumber, Onion, Coriander and Carrot salad. Any replacement?